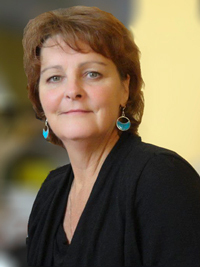 On October 24, 2011, Beatrice Bruske was elected Secretary-Treasurer of UFCW Canada Local 832.Beatrice first became a member activist during the Westfair strike of 1987. Following the strike, she became a shop steward and served on the Health and Safety committee. Bruske then served as a Vice-President on the Local 832 Executive Board. 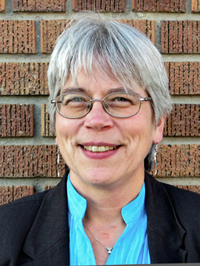 Sister Bruske became a full-time Union Representative with Local 832 in 1994, and a full-time negotiator in July 2004. 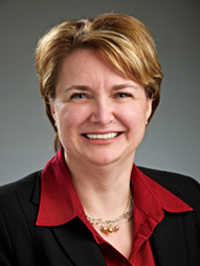 She is also a member of the Executive Council of the Manitoba Federation of Labour, and an Employee Representative on the Manitoba Labour Board. Beatrice holds an Arts degree from the University of Manitoba, where she majored in Labour Studies. Terry Harris is President of UFCW Canada Local 649, which consists of a single bargaining unit at Federated Co-operatives Limited in Saskatoon. The unit has five separate and unique sites — head office, a warehouse, a feed mill, the Saskatoon propane plant, and the Melfort propane plant. Sister Harris started working at Federated in 1999, and over the years served as an elected Shop Steward, Vice-President, and now as President since 2013. As well as leading Local 649, Terry Harris continues to work as a rank-and-file member in the Marketing Services Department at Federated Co-operatives Limited. Sister Harris is also politically active as a member of the Saskatchewan New Democratic Party Provincial Council, as well as the Federal Executive representing Saskatoon Humboldt. In addition, Terry is a member of the Philanthropic Educational Organization (PEO), which supports the educational advancement of women to achieve their highest aspirations. Magee joined UFCW Canada Local 175 in 1990 as a union representative. In 2001, she became the Director of the South West Region and was later promoted to Executive Assistant to the President. 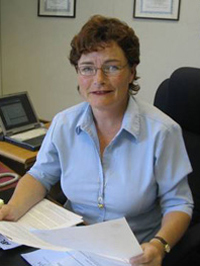 Sister Magee was then elected as Secretary-Treasurer in 2002, 2005, and again in 2009. She retired in 2014. Marylou is Secretary-Treasurer of UFCW Canada Local 633. Sister Mallet has worked for Metro for many years and has been a proud union steward since 1989. She is committed to defending her fellow workers, and over the years has participated as a bargaining committee member in several Metro contract negotiations. Marylou has also been a member of the Local 633 Executive Board since 1997. Over the years, she has been active on the Target Equality committee and has raised funds for various causes, including Youth Without Shelter – an agency that supplies emergency housing, counselling, and support for homeless youth. McLaren became a UFCW Canada Local 401 member in 1978 when she was hired as a cashier by Canada Safeway in Medicine Hat, Alberta. 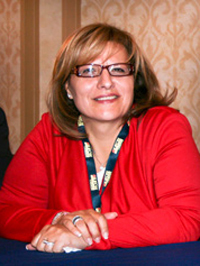 An active shop steward, she was elected to the local union’s executive board in 1988, serving for four years. McLaren was then hired as a union representative for UFCW Canada Local 401 in 1994, before being elected as Secretary-Treasurer in 2002. She went on to win re-election multiple times and remains a proud leader at Local 401.